Hey all and welcome to my top 10 League 2 players you should buy, or at least desire about buying. As some of you will know I'm currently doing a save as tinpot Crawley Town and you can catch up on that HERE. Anyway, onto the list and we have 10 top players that can all change games in different ways. Attacking Midfielder/Striker (Left/Right/Centre) - Age in August 2015: 26 Years Old. Adam McGurk throughout this year's Football Manager has shown to me that he is a class player that can give a great number of assists and a good showing in the goals department too. Using him at Pompey, I had a tremendous amount of interest when he was part of my League 2 winning side getting an average rating for the season of 7.45. McGurk plays best as an inside forward on the right side of the attacking midfield. PROS: Great striking ability and a great amount of skill while having an excellent free kick in the game. CONS: For a winger, the only thing I'd want a bit more from McGurk is pace. Towards the end of matches, he struggles to outpace defenders when you need him most. Seamus Conneely is a great little cheap centre back especially. Holds up play and is a great determined player. The player has great natural fitness and won't need to be rested too regularly. A player that can pace down the wing and can get valuable crosses in that could change the game at any point. Got a great average rating of 7.66 from 43 League 2 games! PROS: Hardly picks up an injury, great attacking side to his game and has a great work rate! One of the cheapest players on this list! CONS: Even as a taller player, he struggles to leap and get the ball from corners. Shaun Batt is a pacy tyrant who loves to bomb down the wings as well as playing in his natural striker role. Will play best as a target man, he is a player who at 28 is improving more and more throughout the season. He'll get you the goals as well as setting them up but will quickly make mincemeat of defenders and leave them in his rearview mirror. PROS: Pacy, even for a taller player and Batt has a very good work rate, doesn't tire quickly. CONS: Getting older and you'll only get 2-3 years tops of his speed and ability. Finishing needs work and needs to be focused on. Along with Christian Burgess, these two will make the ultimate CB pairing. Baudry is a solid defender that gets stuck into every challenge and puts his heart into every game. A very consistent player can keep clean sheets consistently. He's brave and rarely makes a poor decision as well as being very well disciplined. It would take a lot for him to lose his cool. PROS: Fitness is a key part of Baudry's game. Solid Defender. Confident. CONS: Would be an expensive purchase for only 2-3 years worth of his prime football. Akinfenwa. What can I say? The strength, the determination and great finishing make this one a great striker to have on the game. Played as a target man, Akinfenwa should get a tonne of goals for you in this league. Akinfenwa managed to get 24 goals when I decided to purchase him, 13 coming from headers interestingly. Average rating of 7.3 from 39 games. PROS: Strongest Man in the world of Football Manager. Will win any header thrown at him. CONS: Coming to the end of his career, can only play one role efficiently. Buchanan is an all-around great left back. A natural born leader who would be a great addition to any squad in this league. A powerful small left back with both pace and stamina so he can go all game and keep your team from conceding on the break. Works best in the fullback role but if trained well could become a wing back or even a left midfielder. PROS: Fitness is key, a great team player. Determined to do well. CONS: Fairly poor in the air both attacking and defending. Burgess is a top player with great composure and can be a top championship player. At 6 foot 5 inches, Burgess is a great player to have while defending corners at this level, he makes a good challenge and is brave in the air. 17 jumping reach will always help you too, Christian Burgess is undoubtedly a player to pick up and can improve any defence in League 2 or 1. PROS: Very strong and adaptable player. The best player in this league in the air and can get some goals when he goes up for corners. CONS: Costly and you'll need to be a bigger League 2/1 team to snap up his signature. The best goalkeeper in League 2 and possibly League 1 in the game. The shot-stopper managed an impressive 20 clean sheets when I tried a save as Oxford which fired the club to promotion. Give the lad a good defence, and you're sorted. Has great confidence on the ball and an incredibly fast reaction for a keeper, Sam Slocombe is a must for any potential League 1 side. PROS: Best shot-stopper in the league, has a high work rate and is a brick wall in goal. CONS: The one thing I noticed was that Slocombe had a tendency never to come out of corners, not a very brave Goalkeeper. Being a Crawley Town, I'm slightly biased towards Gwion. But he is a cracking winger, bombs down the wings and gets some great crosses in towards the lacklustre strikers. Has the pace to outrun all defenders and has a great right foot. A skilful player with great team play and great determination, Edwards is a player that will throw himself into any challenge faced. CONS: Prone to injury, been injured for a collective three months the first season. SIGN THIS MAN! What a player Carey is! One of the best wingers from League 2 and even League 1, he has an incredible work rate as well as being the most skilful player on the list with a flair stat of 18. He should be Brazilian. Plays best as an advanced playmaker and sets up a bagful of assists and well as putting the ball in the back of the net. Also, this guy should put away 5-10 free-kicks a season (if you're lucky enough to be on the ref's side) Overall, just a fantastic player, works well and gets the job done. PROS: Powerful shot, powerful free kicks, powerful off the ball. Highly skilful! CONS: If you're not at Plymouth, then he's not at your club. He isn't a natural born leader so no suitability as a captain, but you don't need Carey for this. Very expensive. 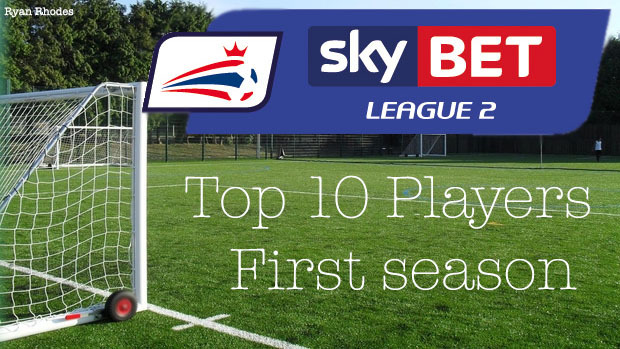 Football Manager 2016 top 10 Sky Bet League 2 Players in opening season (Post Winter Update).